My kids love a good bounce house and Kenzie has been asking for one with a water slide. Little Tikes is an awesome brand and Mason actually received several new Little Tikes toys for his birthday just the other week. 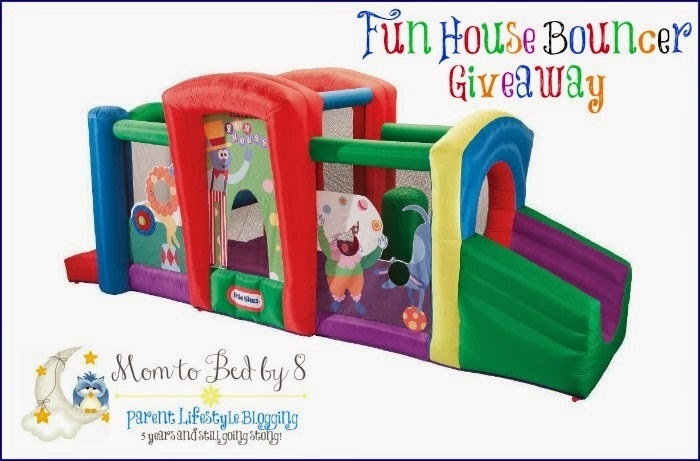 Check out the giveaway below to see how you can give your kids some end of the summer fun with a fantastic Little Tikes bouncer! Giveaway ends August 28th at 11:59pm, open to US and Canadian residents, ages 18+. Excludes Quebec. Only one entrant per household, per address. Winner is subject to eligibility verification. Enter using the giveaway form below. Good luck! I'd like the Cash n Play register for my 3 yr old! i want the little tikes slide for the backyard!! thank you!